Sixteen domestic airlines, including the national flag carrier, will be grounded from Wednesday as the regulator did not renew their air operator certificates (AOC) on Tuesday—the deadline for AOC renewal. 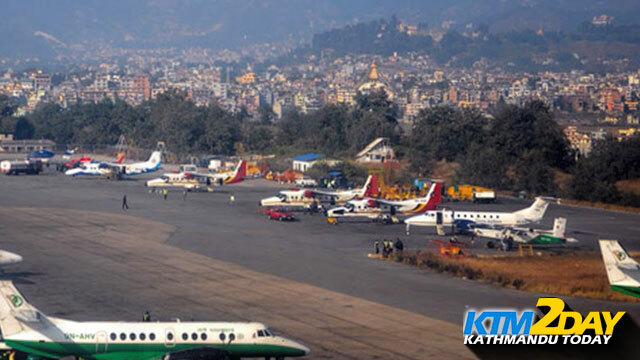 The Civil Aviation Authority of Nepal (Caan) said the carriers did not fulfill the required international safety oversight standards. By the time the Post went to the press, it was not sure whether Caan renewed Nepal Airlines Corporation’s (NAC) AOC for international flights. NAC was scheduled for Kathmandu-Kuala Lumpur flight at 11:30 pm. NAC Managing Director Madan Kharel said the Caan had not informed them about any such move for international flights. Caan renewed AOCs of only three airlines—Buddha Air, Yeti Airlines and Tara Air. This means, except for these three carriers, no other airlines will be allowed to fly until their AOCs are revalidated. An operator needs to apply for AOC renewal prior to the deadline expiry and has to ensure it meets all the standards set by the global aviation watchdog—the International Civil Aviation Organization (ICAO). “We were forced to take the harsh decision as 16 airlines did not fulfill the required international safety oversight standards although they were repeatedly informed since July 2013,” said Caan Director General Ratish Chandra Lal Suman. ICAO has put Nepal in the list of significant safety concerns or audit findings have pointed out Nepal’s weakness on issuing or revalidating the AOCs, Suman said. “Besides, our move is also aimed at de-listing Nepal-based airlines companies from the European Commission’s (EC) blacklist.” The EC in December 2013 had blacklisted all Nepali carriers, terming them unsafe. Airline operators, however, said they have submitted all the documents to the regulator and have fulfilled all the requirements as per the international standards. Representatives from the airlines were waiting the Caan’s safety department in Sinamangal, Kathmandu, till late Tuesday night to get their AOCs renewed. Caan said it would review the documents of the 16 airlines on Wednesday, and if found deficient, it might downgrade them, permitting only cargo flights. Airlines need to renew their AOC every six months under the new AOC-Regulation enforced by Caan in 2012.